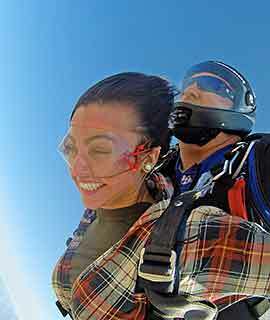 Tandem free fall from 10,000 ft. Your instruction will include specific training on the equipment you will use with your Tandem Instructor. You will also learn about the aerodynamics of arching your body in free fall, along with how to assist flying the parachute with your instructor. Group rates can be applied to any skydives. Have a larger group? 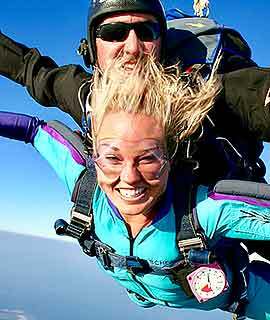 Skydive Marana offers large groups 10,000 ft skydives giving almost twice the freefall for the same great skydiving price. Book online to give your group the adventure of a lifetime. If you’re planning on making a tandem skydive with us soon, make sure you opt in for one of our video and photo packages. Our videographer services will capture every thrilling moment of your jump so you can share your adventure with your friends, family, and social network! 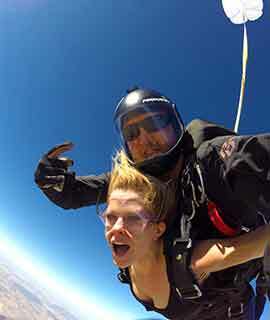 Skydive Marana is located 20 minutes North of Tucson, or an Hour South of Phoenix. 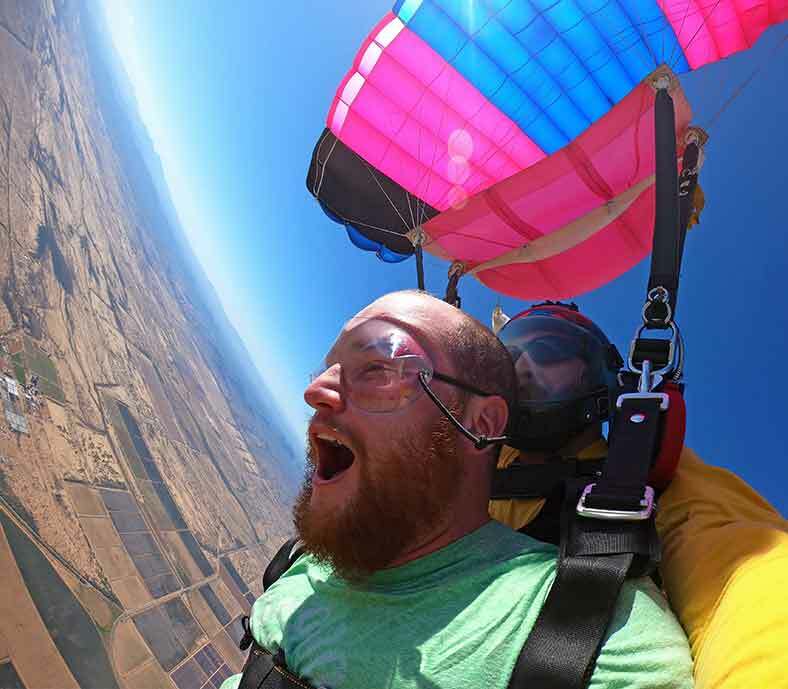 Skydive Marana is nestled in scenic area of Avra Valley, AZ. Skydiving was started in 1991 at our location and has continued up to today. They took great care of us and made sure that our experience was one we’d never forget. Big thanks!! You guys are truly awesome. Thanks for the best time of my life with my best friend. Skydive Marana rules all. 15 minutes from my house! Good people.